Maurice Merleau-Ponty is known and celebrated as a renowned phenomenologist and is considered a key figure in the existentialist movement. 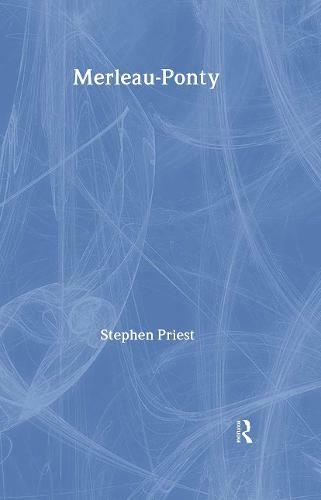 In this wide-ranging and penetrative study, Stephen Priest engages Merleau-Ponty across the full range of his philosophical thought. He considers Merleau-Ponty's writings on the problems of the body, perception, space, time, subjectivity, freedom, language, other minds, physical objects, art and being. Priest addresses Merleau-Ponty's thought in connection with Hegel, Husserl, Heidegger and Sartre. He uses clear and direct language to explain the thoughts of and the ensuing importance of one of the greatest contemporary thinkers. Philosophy students and scholars alike will find great pleasure in this fascinating exploration of the writings and ideas of Maurice Merleau-Ponty. "Stephen Priest rescues a great thinker from comparative neglect. He presents Merleau-Ponty's ideas with exemplary clarity."